Yes, summer activities need to be planned now! And this is a week long full day camp that will nurture every kid's inner chef! A fun, active, hands-on environment with cooking activities that focus on natural ingredients and a really big YUM factor. The camp is a full day (9am-3:30pm). Each day your child will be making his own meals and snacks, guided through several recipes, working at his own cooking station along side the other students. She/he will be watching demonstrations of cooking techniques, and then re-creating them at her/his own station. Some recipes are made in groups (ice cream, pizza dough), but for the most part she/he will have input into customizing her/his own final product. We have an emphasis on healthy options, and using lots of vegetables to create good flavours. Safety in the kitchen is very important, and your child will learn how to properly handle knives, use our induction cooktops to sauté veggies, and clean her/his station to ensure food safety at all times. Each afternoon we take a break and go outside to Riley Park, or to the outdoor pool, or go visit a community garden, which are all walking distance from our Culinary Centre. All snacks and meals are provided, and allergies and dietary restrictions can be accommodated. Suitable for kids 8-13 yrs old. 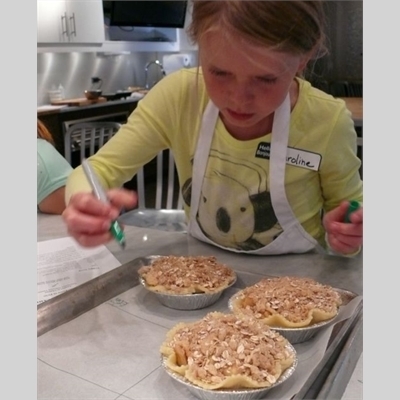 This is a one day camp for PD Day that will nurture every kids inner chef! 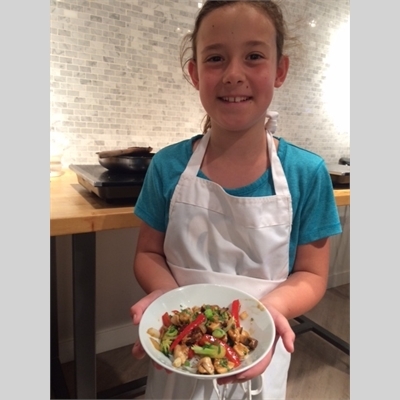 A fun, active, hands-on environment with cooking activities that focus on natural ingredients and a really big YUM factor. All snacks and meals are provided, and allergies and dietary restrictions can be accommodated. Suitable for kids 8-13 yrs old.